This recipe is for a simple, classic potato pancake. Try sprucing it up with herbs or other ingredients for a satisfying appetizer. Heat 1 inch of oil in a large nonstick pan to 375F. 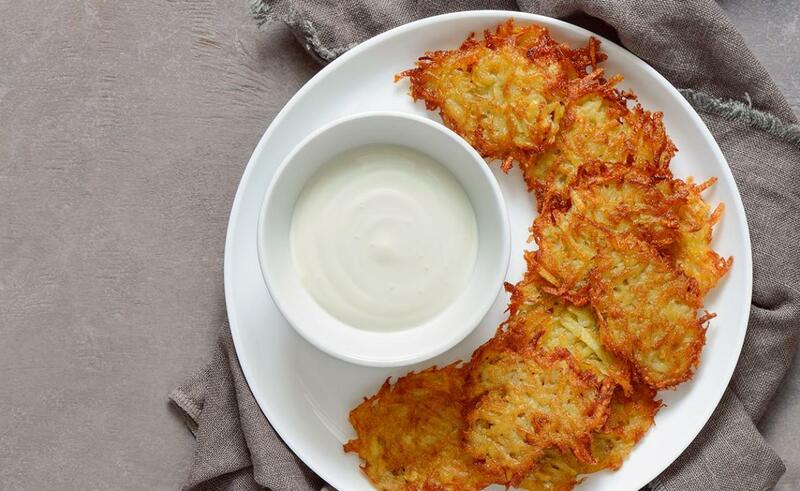 Spoon the potatoes into the oil and flatten lightly – make sure latkes are in one layer. Fry on one side until golden brown and flip. Fry on the other side and remove onto a sheet pan lined with paper towels.